One of the most dangerous threats to personal safety in the home or workplace is that posed by a buildup of carbon monoxide (CO) gas. This colorless, odorless, tasteless toxic gas is produced by incomplete combustion in fuel-burning devices such as automobiles, gas furnaces, and portable generators. When it is allowed to accumulate indoors, it can cause serious injuries and even death, in very little time. Accidental CO poisoning is responsible for approximately 15,000 hospitalizations and 500 deaths in the United States per year, according to the Centers for Disease Control and Prevention. And the American Medical Association calls CO poisoning the leading cause of accidental poisoning in the U.S. So, the role that CO detectors play in personal safety can hardly be overstated. These simple, inexpensive devices are a vital part of any emergency alarm system within every occupied structure or enclosed space. Here are some basics to know in any discussion of CO detectors. According to ConsumerReports.org, most CO alarms use an electrochemical sensor that triggers an electrical current to set off an alarm when it detects the concentrated gas. 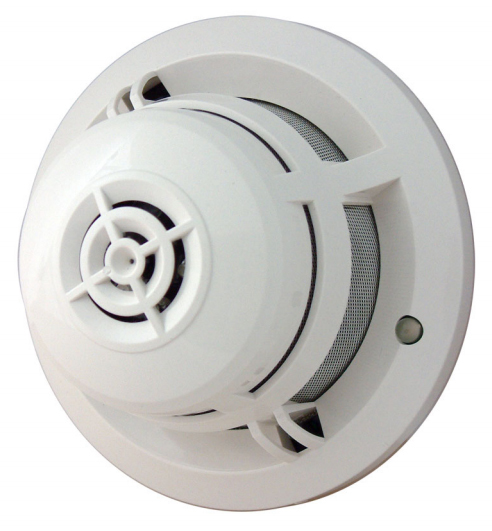 CO detectors are available as standalone units or system-connected devices, from simple battery-powered alarms to AC-with-battery-backup alarms to digital-display alarms to combination alarms that provide smoke and CO detectors in the same unit. The newest models use electrochemical technology, which is highly accurate, needs little power, and offers longer detector life (5-7 years). If you wonder if your carbon monoxide detectors are worn out, they probably are. Listing a build date or an expiration date on the label is a fairly new phenomenon. If there’s no date on yours and you can’t remember when you bought it, you’re probably due for a new one. Replacing detectors for peace of mind and life safety is a small cost. Same for smoke detectors, they need to be replaced every 8-10 years. If they keep chirping even after you have replaced the battery, it’s telling you to replace it. What should you do with old carbon monoxide detectors? They may be disposed of with the trash, but be sure to take the batteries out and recycle them. Many hardware stores have battery-recycling stations. Read more about The Family Handyman’s tips on carbon monoxide detector replacement. Underwriters Laboratories (UL) recommends certain limits for CO exposure as measured in parts per million (ppm). The UL2034 standard requires residential CO alarms to sound when CO exposure limits and times are reached: 30 ppm for 30 days, 70 ppm for 60 to 240 minutes, 150 ppm for 10 to 50 minutes, or 400 ppm for 4 to 15 minutes. When CO binds with the hemoglobin in red blood cells, it’s called carboxyhemoglobin (COHb), and the level of COHb determines the amount of CO an individual has been exposed to. CO alarms are designed to sound before there is an immediate threat to life. One important consideration in any CO detector discussion is what to do if the carbon monoxide alarm sounds? The answer is that everyone should be moved outdoors or near a fresh air source, such as an open window. Call 911 as soon as you can and tell them your carbon monoxide alarm has triggered. Do not reenter the affected area until emergency responders give you the all-clear. If you still have questions, please contact one of our knowledgeable representatives to discuss CO detectors in further detail. It could one day be a life saver.